As I have been suffering a painting block, I thought I would do some mundane things like sorting and tidying over the weekend to see if that helped me over the block. The Prussian project I started nine years ago seemed like a good place to start. I had brought the figures from Australia to Manila packed rather well as it turned out – they survived the trip in Hold Baggage well. The figures painted and based are below. 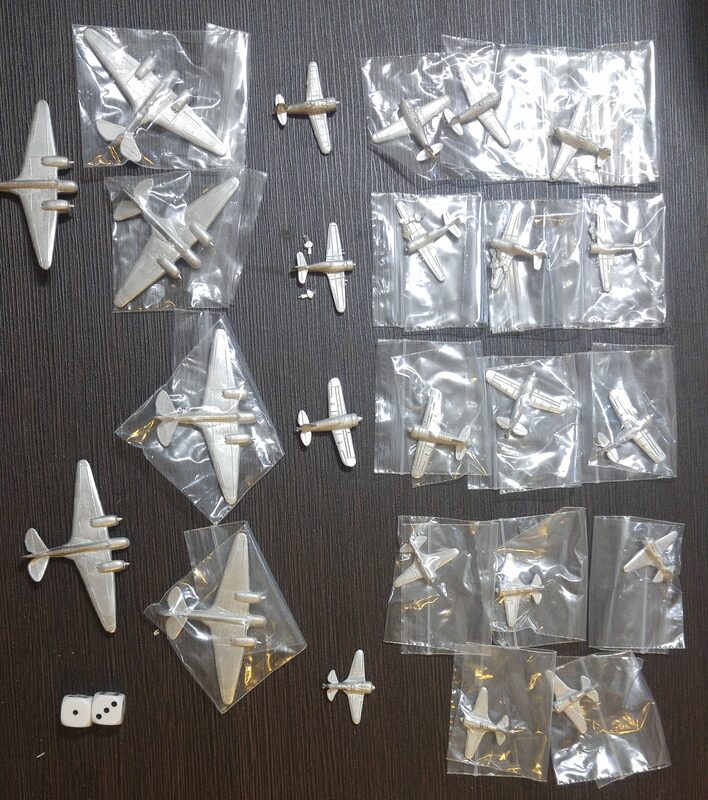 Those still requiring the bases to be finished are included the following image. 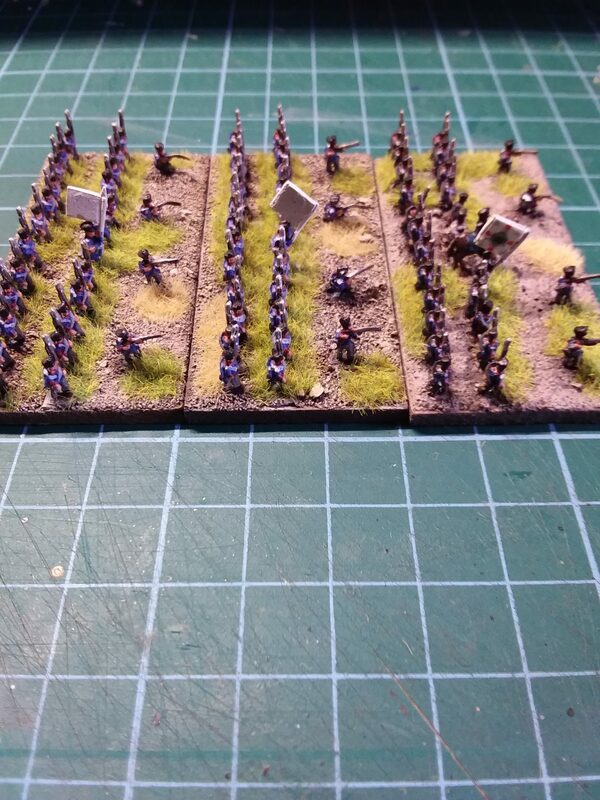 So far looking at the painted figures, while the infantry uniforms are a Prussian Blue, it appears almost black here. I am thinking I will need to lighten them up a little. 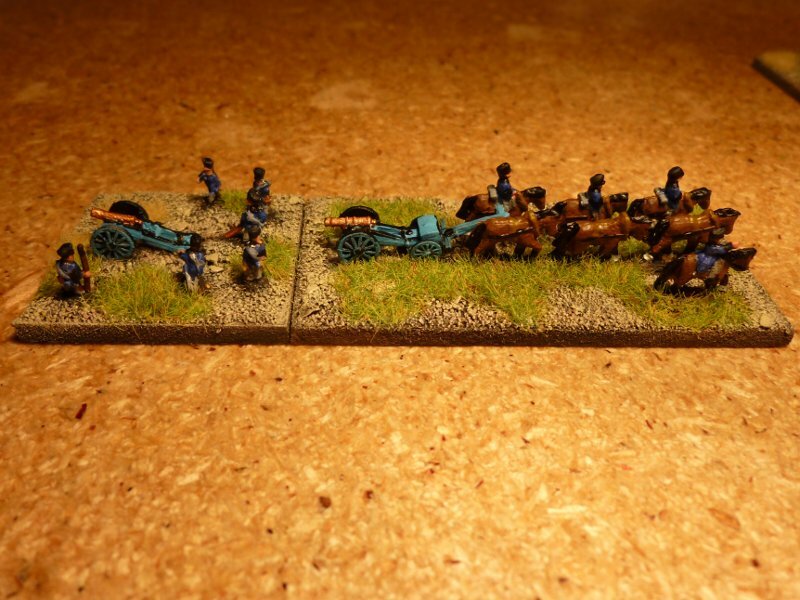 I am happy with the artillery and cavalry colours however. I’m building the army with Heroics and Ros figures. 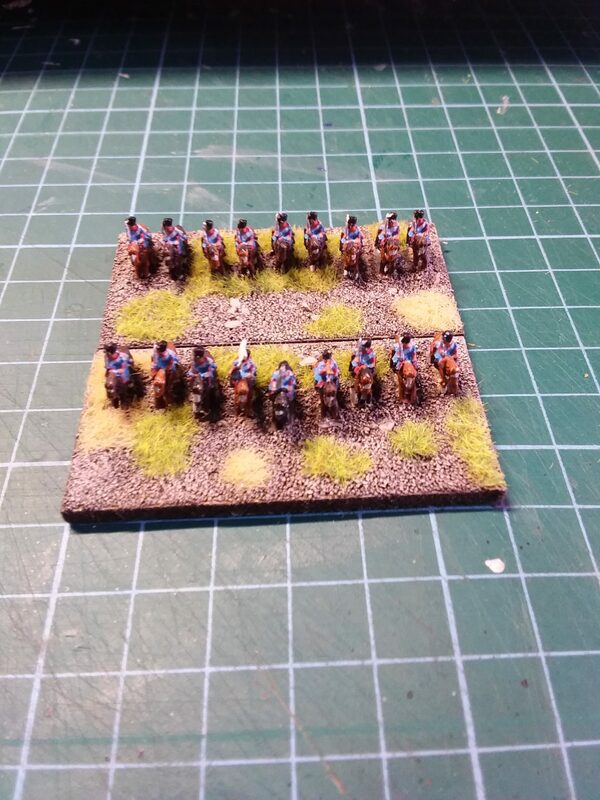 H&R do a Prussian musketeer which I am using for the musketeers and fusiliers, the stovepipe British for the reserve infantry and then the Landwehr figures for the Landwehr. That seems to provide enough variety between the figures. The Landwehr will be in dark blue coats, the same as the regulars, but some will be in white trousers, some in grey. Perhaps even in a couple of battalions I’ll mix the trousers in the battalion. I haven’t thought that far in yet. The reserve infantry (British in stovepipe shako) look the part, especially compared to some of the images from the time. The only minor quibble I have with the detail is that the Brits have a backpack and the almost ubiquitous Prussian blanket roll is missing. To be fair to myself however, I have seen a picture of a Prussian reserve infantry figure like that – with pack and sans blanket. Colour of the Reserve Infantry will be a mix of grey and blue uniforms, and maybe even the odd red battalion – again, I am still researching that. The problem with being distracted from current wargaming projects into new projects is that it never stops at one. You get a new interest, start looking around at rules for that interest then get distracted again. Next thing you know you you have three or four more projects in mind. I was looking at rules for the Greek project I mentioned in the last post here and next thing I knew I was looking at Dadi&Piombo’s Basic Impetus Expansion, Basic Battles. 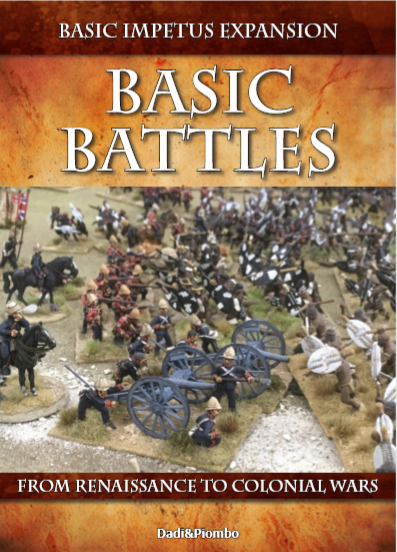 Basic Battles is an expansion on the Basic Impetus system, moving that system from the Renaissance to the Colonial Wars periods. 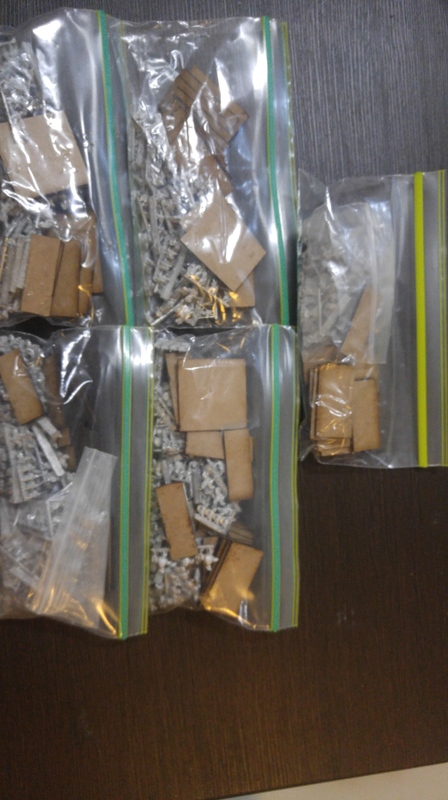 This includes Napoleonics and I just happen to have a couple of 6mm Napoleonic Armies waiting in the lead pile – only the 1814 Prussians have made it (briefly) to the painting queue. This is an experimental set to expand on Basic Impetus 2.0 rules for later periods, up to Colonial warfare, where one Unit roughly represents one brigade. This set also covers Napoleonics, though a more detailed and tactical ruleset is under development for this period. Basic Impetus 2 can be purchased through www.dadiepiombo.com or digitally through Wargame Vault: www.wargamevault.com/product/200518/Basic-Impetus-2 Available in English, French and Spanish. 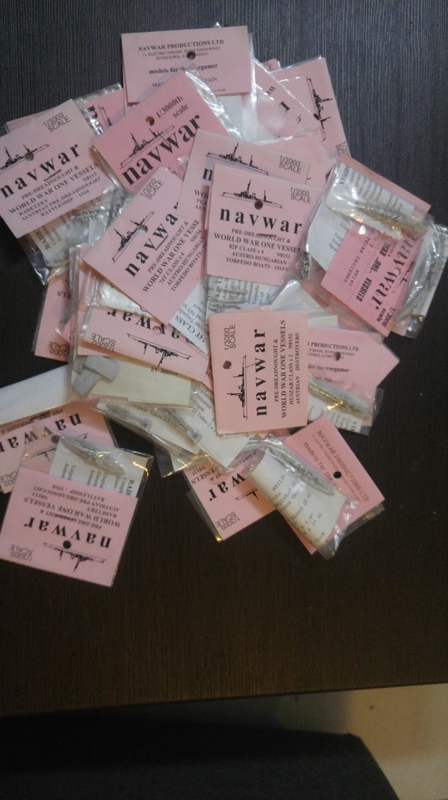 Naturally I want to use them for Napoleonics. 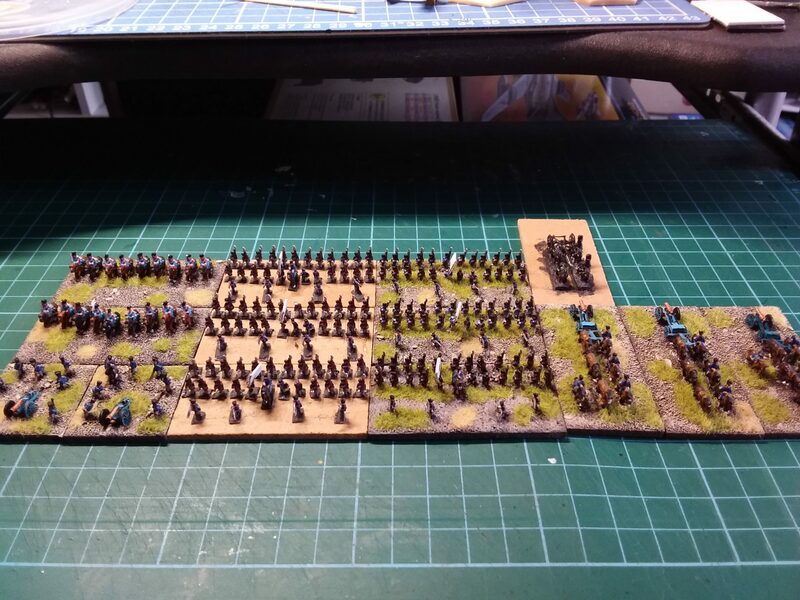 I figure that if I work to the basic system in Baccus’ General de division or Marechal d’Empire rules, use the armies (when painted) with either the Baccus rules or Basic Battles, when the Impetus Napoleonic Rules come along I’m looking sweet. Actually, two books. I received a copy of A Naval History of the Peloponnesian War – Ships, Men and Money in the War at Sea, 431-404 BC written by Marc G DeSantis, ISBN: 9781473861589, published on 29 November 2017. When reading that I thought it would be a good idea to read Great Battles of the Classical Greek World by Owen Rees, ISBN: 9781473827295, published on 15 August 2016 at the same time as there was a degree of overlap between the two. Both books are published by Pen & Sword and both look at one area of particular interest to me. I will review both books separately in other blog posts. 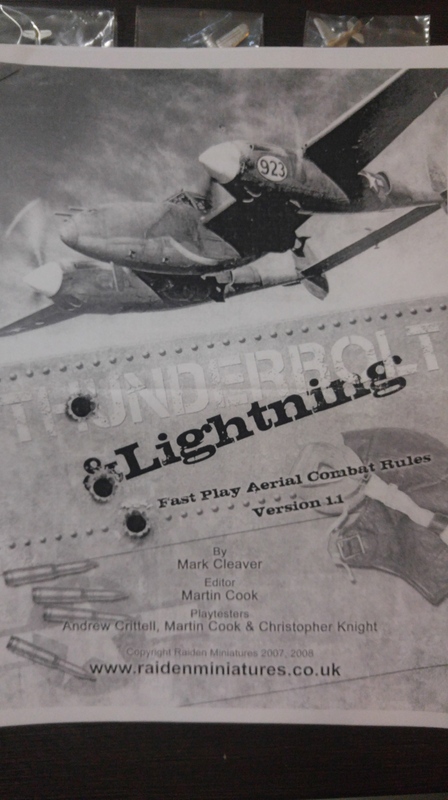 So, what is the risk to the Wargamer? Well, it is simple. 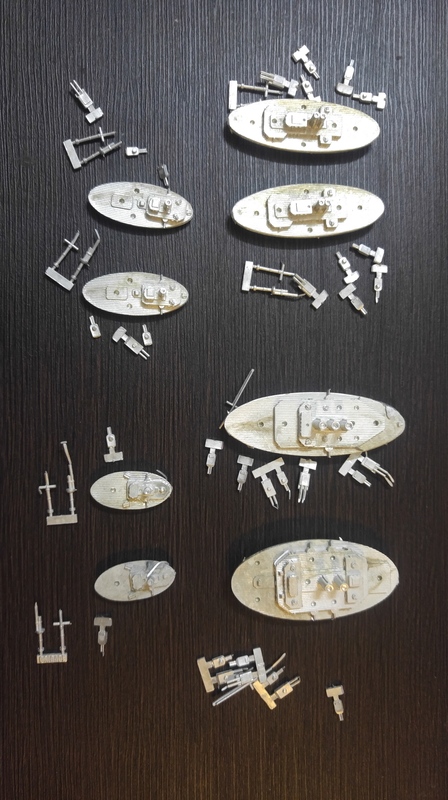 My favourite periods of interest are Ancient Wargaming and Naval Wargaming. The Peloponnesian War has both. The 25 years of the Peloponnesian War covered a bitter period of classical Greek history and warfare. By this time the Greeks were well settled into the hoplite style of warfare with armoured man, large shields and a long spear standing in a long line with other men similarly armed. To my pile of uncompleted projects I have added two Greek projects. One is the Greek world circa 670 BCE to 450 BCE – the period when hoplite panoply and warfare was developed to its peak. This was also the period where the Persians were defeated at Marathon and Plataea. The second is the Greek world circa 450 BCE to around 225 BCE which includes the Peloponnesian War. Rules will either be DBA or Basic Impetus. 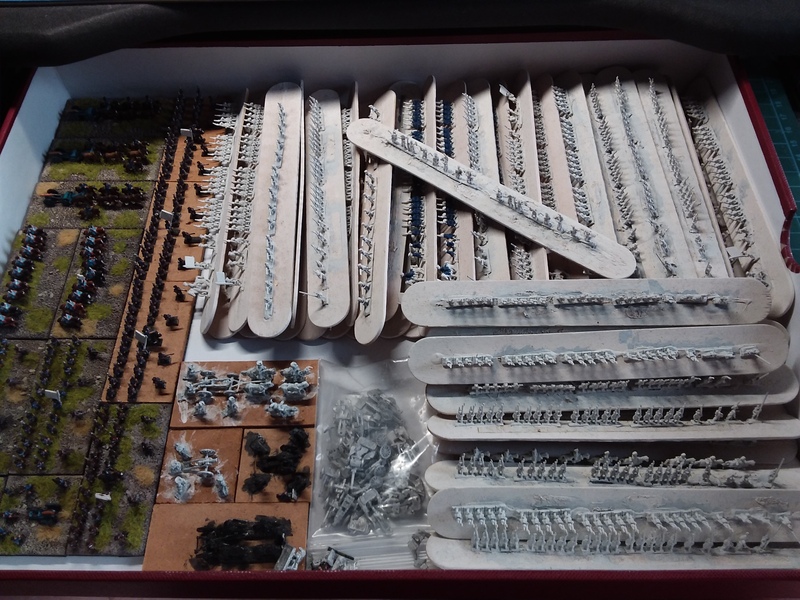 The armies should be easy enough to build to be useful for both rule sets. For example, the early Athenian army in Basic Impetus consists of a maximum of 8 bases of Hoplites, and one base each of Slingers, Javelinmen, Thessalian Light Cavalry and Thessalian Medium Cavalry. The DBA equivalent is 10 elements of Hoplites and two elements of skirmishers. 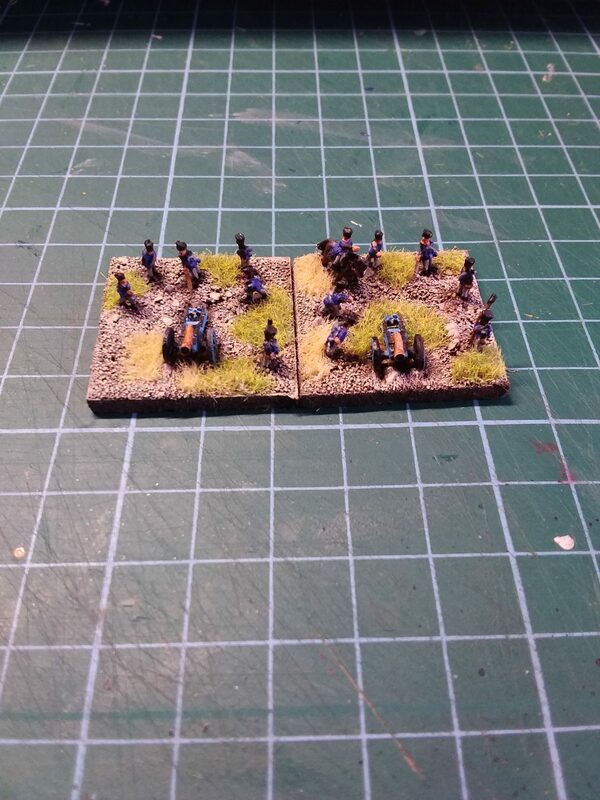 The only real question I have to consider from the rule perspective is whether to use 60mm or 40mm wide bases. DBA would normally be a 40mm element frontage while Dadi and Piombo recommend a 60mm frontage for Basic Impetus in 6mm. 60mm frontage is also the base frontage for Baccus’ SPQR rules. The base size will set the area that is needed to play and 40mm has the attraction of probably only needed a 2-foot square area (DBA) or 3-foot square (Basic Impetus) while 60mm would set a 4-foot by 3-foot area (Basic Impetus). More updates later as I start to plan further. 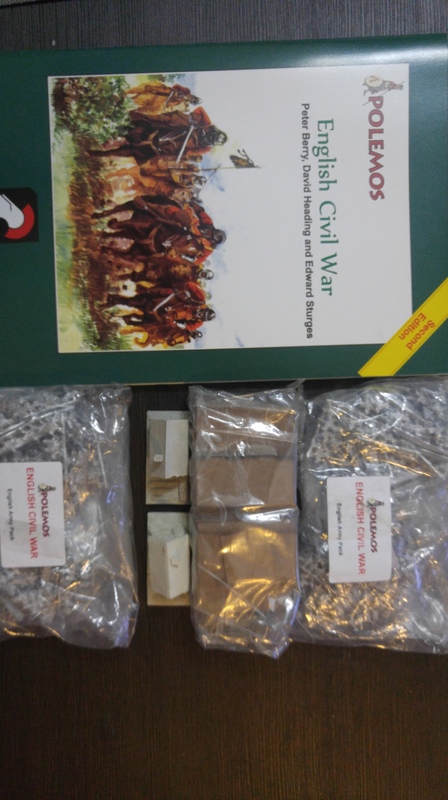 I sent a small order off to Heroics and Ros just after Christmas for more artillerymen and some more armour for the Poles (and therefore also for the Danes). 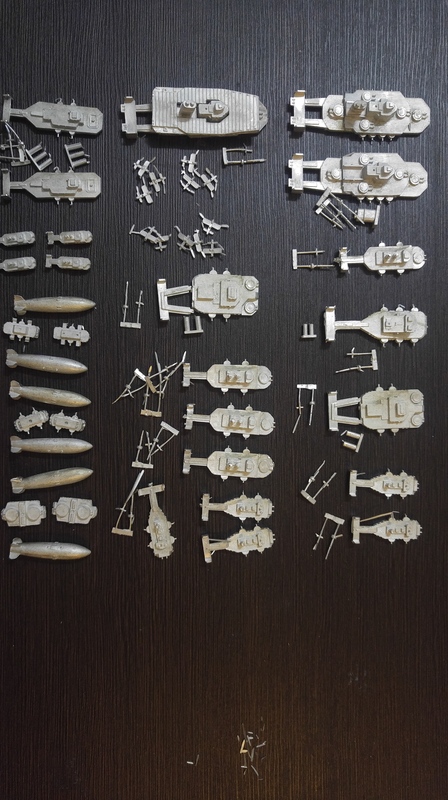 T-72s and Leopards arrived in the mail recently – this is what was in the packet and will be used for Cold War Commander. 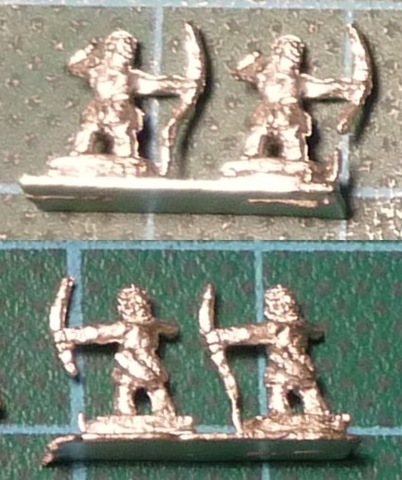 I also ordered and received some Ancient Britons. These will form part of a new project that is setting up in my brain currently – but more on that later. Comments are welcome and have a safe Easter! I got around to undercoating the t-34s roday. The t-54s needed some aerial repairs so missed the paint. I decided to undercoat in brown instead of the white or black I normally use. I also apologise for the standard of the video, I need a taller tripod os a second pair of hands. 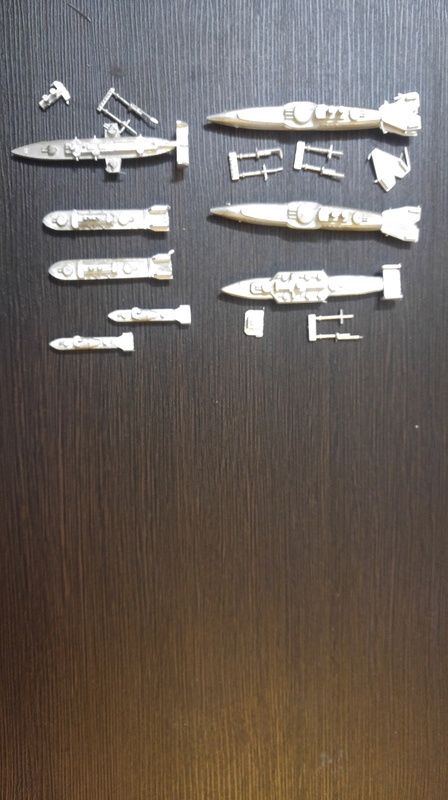 So, started on the painting process of the 6mm Ros and Heroics Poles for Cold War Commander. I will go about getting myself a half decent spray booth soon too. I have some ideas for a collapsable one. Comments are welcome and I lied last time when I promised to get better. Next time I will get better, promise! It has been a mixed month. A longer than planned enforced stay in Australia waiting for the alignment of the juggernauts that are the Department of Foreign Affairs and Trade, and Australia Post, to return a new passport to me has meant that I have only spent a few days working on my hobbies. So, what have I achieved this month so far? 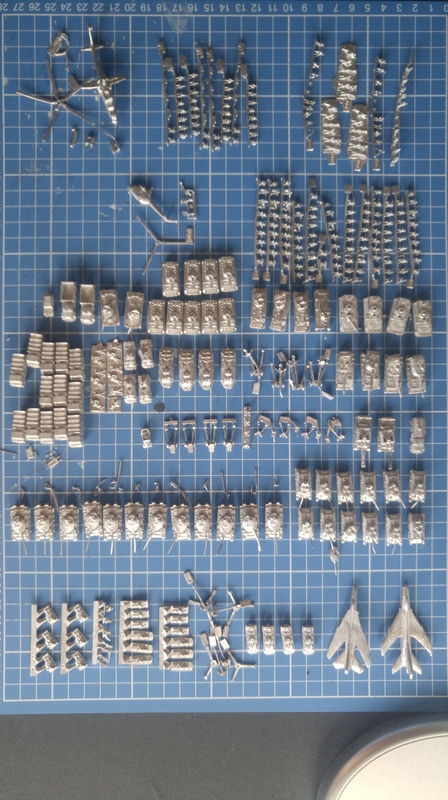 Last year I had ordered some Poles to provide an opponent for my Cold War Commander Danes, so started work on those in January, getting them ready for some paint (that is the army off to the right there). Of course, feeling bored, I was glancing through an Heroics and Ros catalogue and decided that I should upgrade the armour in both armies so an order went off to Heroics and Ros for 12 Leopard 1 tanks for the Danes and 12 T-72M tanks for the Poles. I’m a wargamer, I plead guilty to being addicted to buying more figures. I expect the reinforcements to arrive any week now. 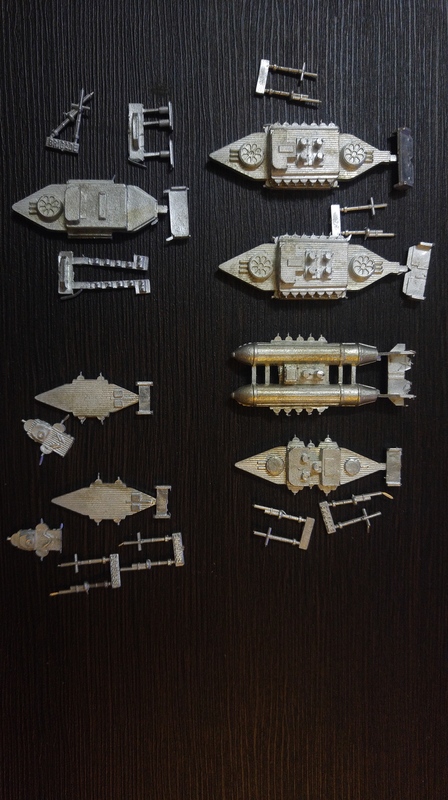 I also ordered some more ships early in January while sitting in Oz at mum’s waiting for the passport to arrive. 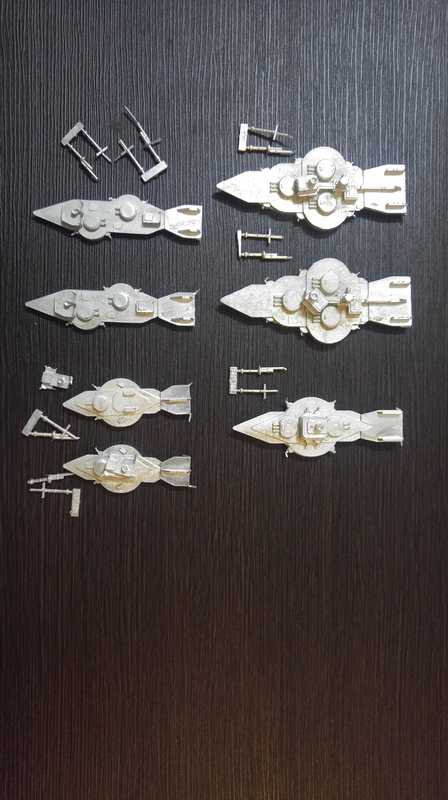 In the fleet order are some World War 1 Russian vessels, a Soviet modern fleet and XXXXXX <– OK, so I can’t remember the third fleet. 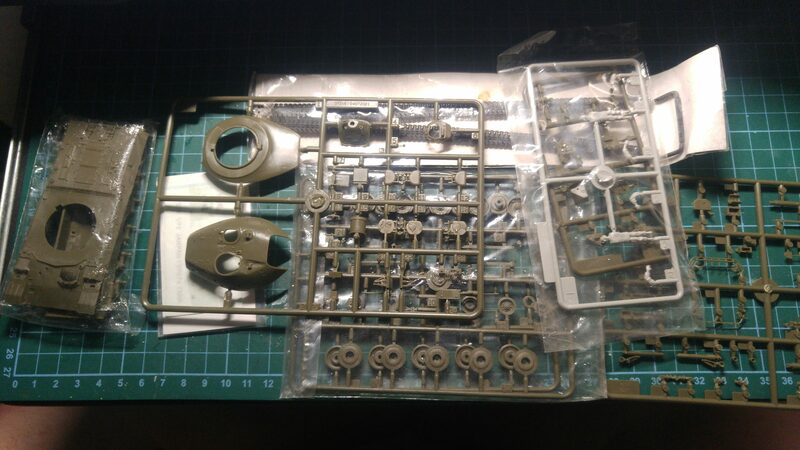 I also have the JGSDF type 74 tank (1/72 scale model) sitting on my work bench. I have started to work on that as well. Lastly, in January, I managed to finish reading a few books and had them up for review here. So, not a bad effort overall. February target is less beer, lose weight, more hobby! 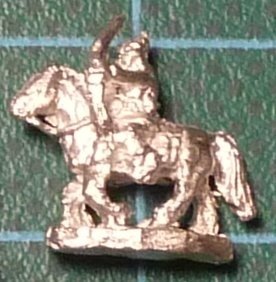 The first of my 6mm ancient figures turned up during the week. These were the result of Macro and Cato causing grief on me and are the Parthians. They were one of the enemies faced by our indomitable heroes when Macro gets his wish and a transfer to Syria. Goodness knows what I’ll do about the Romans of the time, as well as the Judeans and the Ancient Britons (and maybe the odd German tribe or two as well). 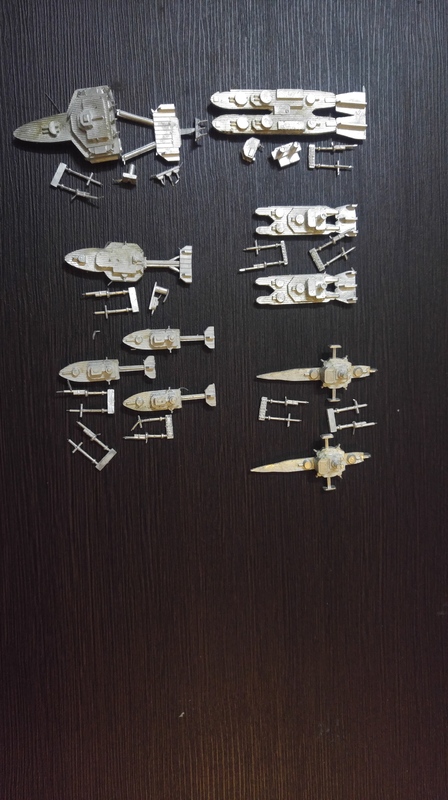 I thought for these I would order Rapier Miniatures. I have not seen them before but allowing for the fact that they had a reasonable price for 1000 points of Warmaster Army, I ordered. 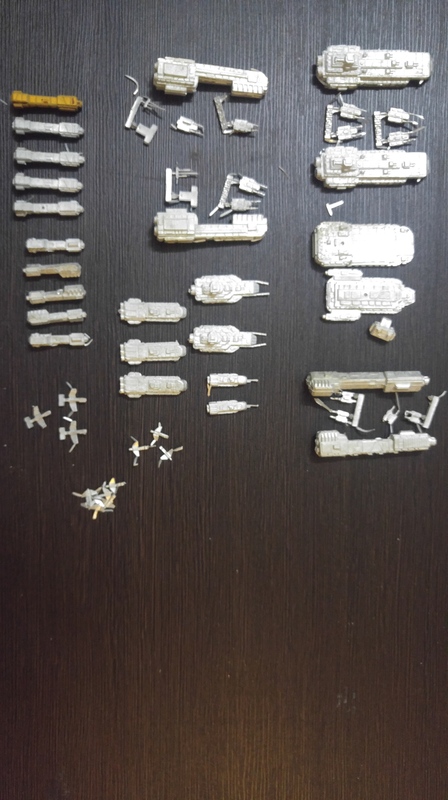 It took about one month from when I ordered until the figures arrived so not as quick as the response I am used to from Heroics and Ros or Baccus but up to the same standard, time-wise, as Adler Miniatures. 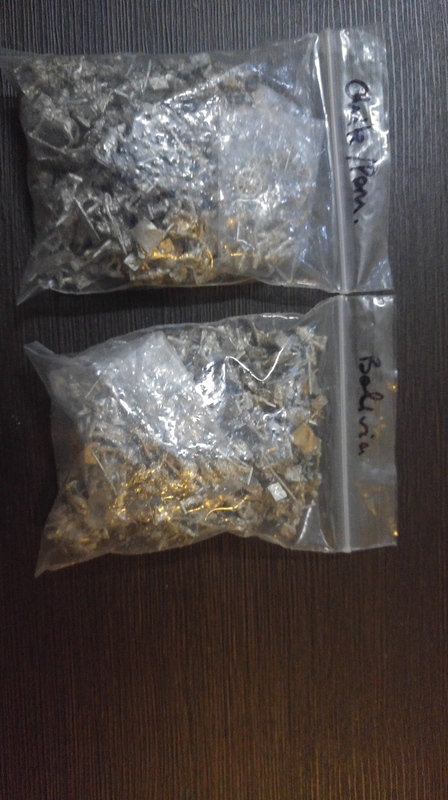 Of course, the really good thing is that the figures turned up. Looking at the figures specifically, there are cataphracts (of course) as well as light horse archers, some foot bowmen, and command figures. There are, in fact, enough figures for 2 units of foot bows, 6 of horse archers and 4 of cataphracts as well as one general. Starting with perhaps the least interesting part of the Parthians, we have the foot figures. As you can see from then picture, these are just basic archers. 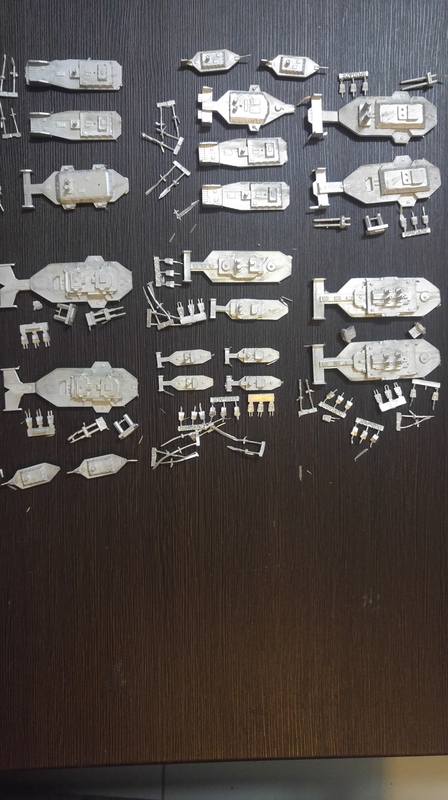 The figures appear to be a little light on detail, even allowing for the 6mm size however I am sure that they will paint up to look the part. 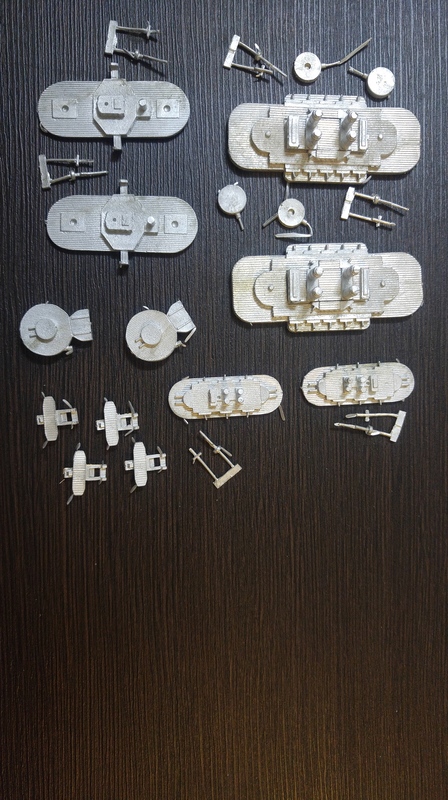 As can be seen from the pictures as well, the foot figures are about 7mm to 8mm tall (the boxes are 10mm squares). These figures are photographed straight from the box (or rather the plastic bag and bubble-wrap). To the left is the horse archer. There are enough supplied to make up 6 units of these running around the table. Again, a fairly basic figure and all the figures in the box are the same pose. 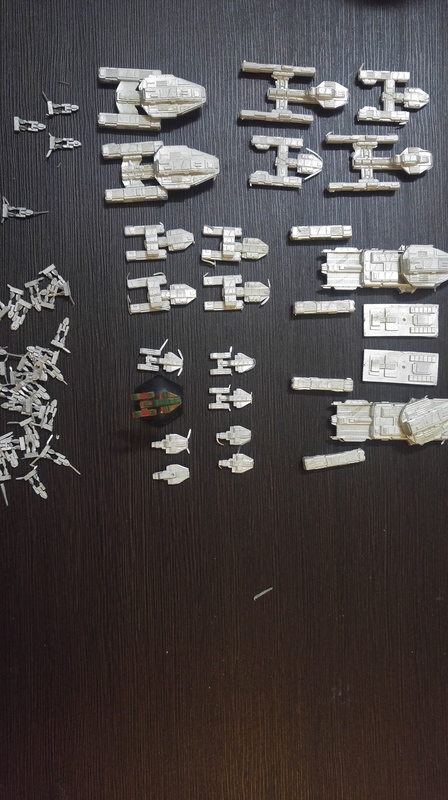 This is perhaps the biggest negative with the Rapier Miniatures, the fact that everything is in the same pose. That said, the figures look like they will paint well and look the part when on the table. The main punch in the Parthians is provided by the cataphracts. The Rapier cataphracts as with the other Rapier figures are in a single pose but do look good – armoured horse and rider, cape, kontos levelled and ready to close with the enemy. 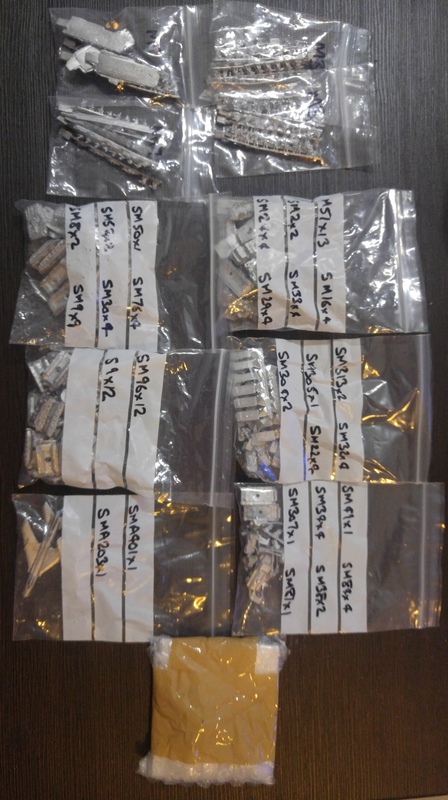 There are 72 cataphract figures in total and when 12 of the command figures are added to these there are sufficient cataphracts for 4 units of 21 figures … or 7 figures per 40x20mm warmaster base. I am still debating whether to base these as 20×40 bases or 40×20. If the former, then there would be 7 figures on each base, in three ranks, with one figure in the first rank and three in the second and third ranks. It should be noted that these figures will fill the base and look very closed up. 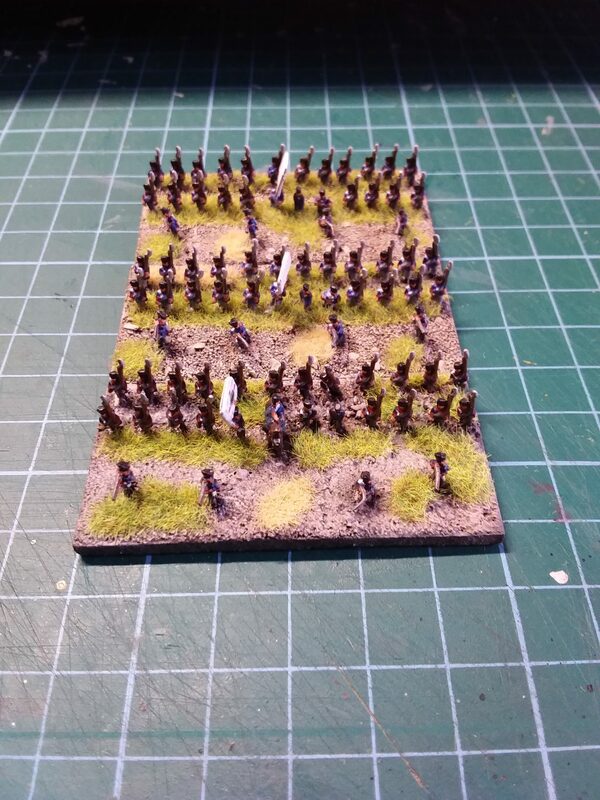 The other option of 40×20 bases would see the 7 figures based in a single rank – again filling the base. The Parthian command group consists of a general type figure, a trumpeter and a figure carrying a standard. In the Rapier Warmaster 1000 point army pack, there are 4 standard bearers, 4 trumpeters and 5 generals. 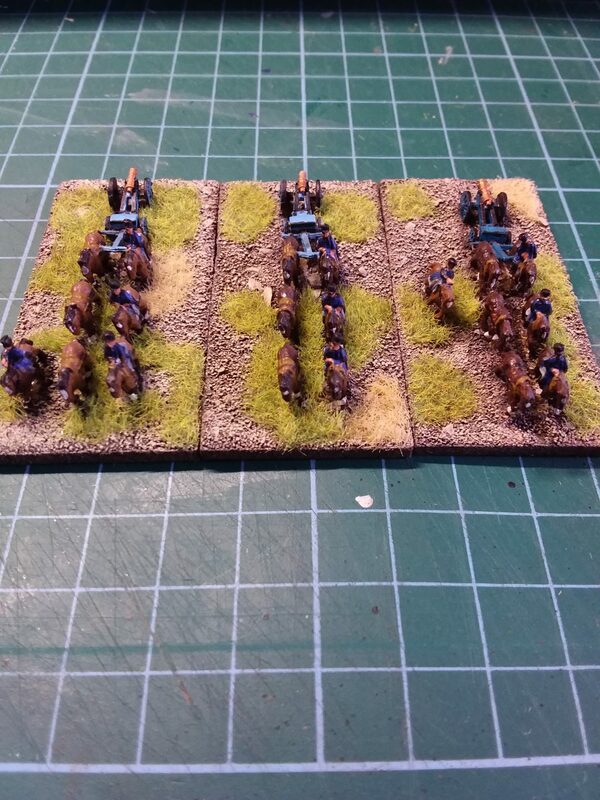 The standard bearers, trumpeters and four of the generals go with the cataphracts to build those units. The remaining general goes on the circular base to make the general for the army. All in all I am quite pleased with these figures. The look a little larger than Heroics and Ros figures but a little smaller than Baccus. I’ll do a size comparison later.